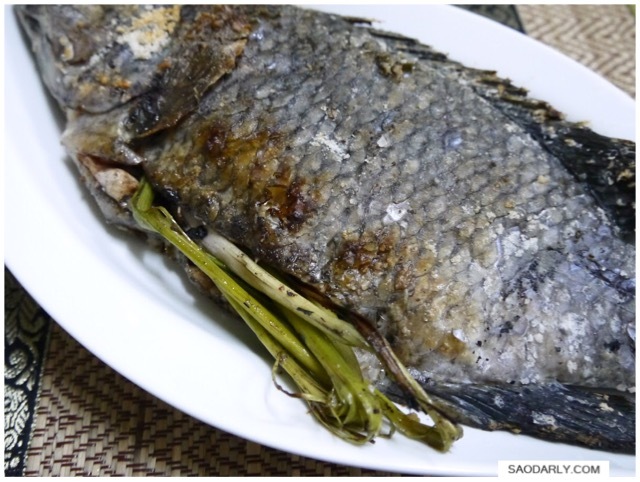 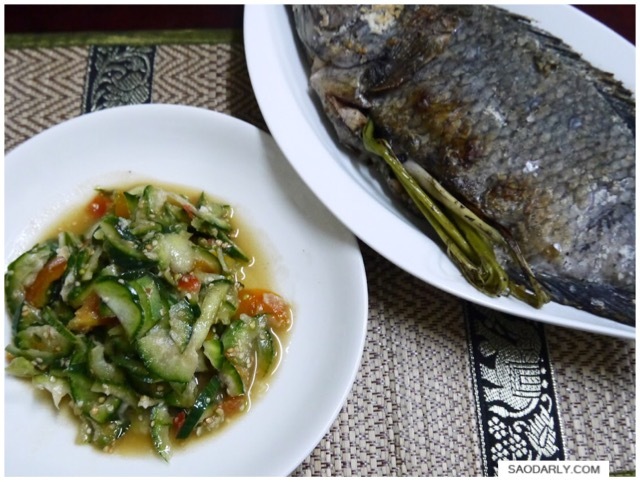 Eggplant Salad ( Tam Mak Kheua ຕຳໝາກເຂືອ ) and Grilled Tilapia Fish ( Ping Pa Nin ປີ້ງປານິນ ) for dinner in Vientiane, Laos. 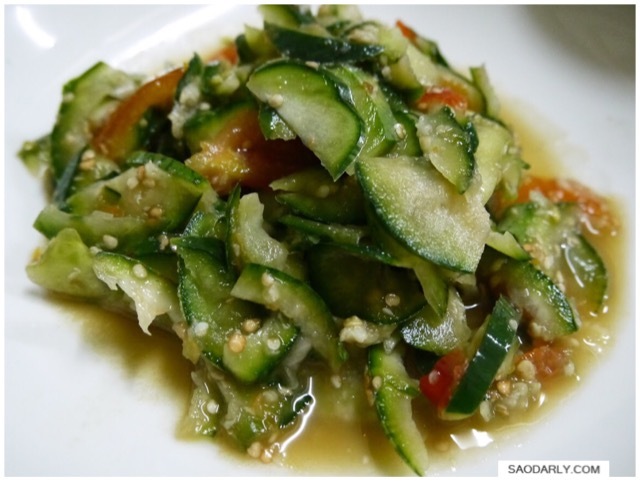 My aunt uses young round green eggplant to make a spicy salad with in the same way as making Tam Som (Tam Mak Hoong) with the exception of using shredded eggplant as the main ingredients. 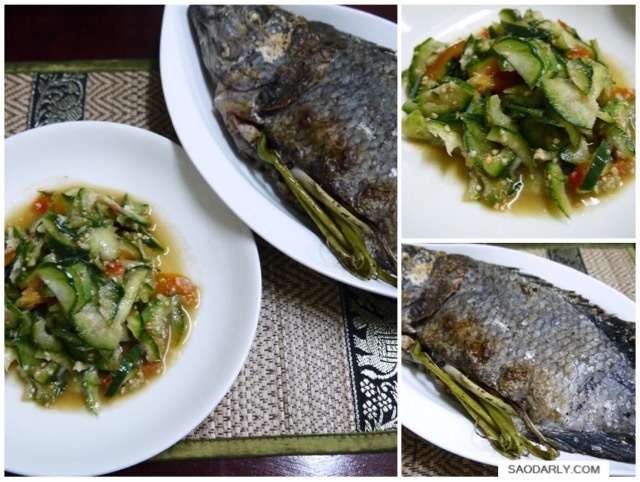 The spicy eggplant salad ( Tam Mak Kheua ຕຳໝາກເຂືອ ) was a perfect combination with grilled fish and freshly steamed sticky rice.